- Portable, reusable, inexpensive test kits with quik-check solution will instantly check presence and percent of ethanol in gasoline. Helps to save $$$ in gas costs and prevent engine damage. 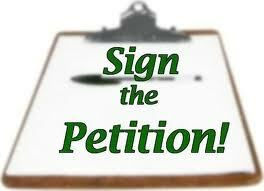 Petition form sponsored by Fuel-Testers Company: Email: fuel.testers@yahoo.com Phone: (631) 532-9447 Fax: Call for number. And although flex-fuel (E85 - 85% alcohol) might serve as a non-petroleum fuel replacement, forcing (mandating) all gas sold to contain 10% ethanol, despite engine manufacturer warnings and concerns has proven to be a huge blunder by our lawmakers. Until our government can prove E10 fuel helps society as a whole, consumers deserve and require a choice at the gas pump. Email: fuel.testers@yahoo.com Phone: (631) 532-9447 Fax: Call for number. Fuel-Testers/MLR Solutions is a private company that provides consulting services, education and fuel testing equipment to the public. both the Environmental Politics Agency and the Ethanol Promotion Agency..."
Tip: Click on logos at right to directly contact organizations listed. We're convinced the EPA has lost sight of the real issues due to the relentless lobbying from ethanol producers; When they realize how damaging E10, and now E15 fuel, has been to so many engines, they'll soon come to the conclusion that offering E0 fuel (choice) at all public pumps is the only reasonable solution. ACE - American Coalition for Ethanol - The #1 spokesperson for the ethanol industry. Their website ethanol.org states, "The grassroots voice of the U.S. ethanol industry, the nation's largest association dedicated to the production and use of ethanol". Renewable Fuels Association (RFA) - The national trade association for the U.S. ethanol industry. API recently stated, "EPA’s ethanol regulations pose serious safety, environmental concerns for consumers". THE ASSOCIATION OF SMALL ENGINE, UTILITY VEHICLE AND OUTDOOR POWER EQUIPMENT MANUFACTURERS AND SUPPLIERS. 2016: www.fueltestkit.com and fuel-testers.com- Fuel-Tester's Petition for Ethanol-Free Fuel Choice. Fuel-Testers, a division of MLR Solutions www.fueltestkit.com - Copyright 2006-2016 - All Rights Reserved. Page to SIGN Petition: Submit Response to Assure Availability of Ethanol Free Fuel for the Future. CLICK "SUBMIT FORM" BUTTON ABOVE TO SEND. They need more input from engine owners who have experienced problems with contaminated E10 gasoline to better represent all consumers. E.G. Shell, B/P, Mobil, Exxon, Hess, Quik-Trip, Marathon, Valero etc. and your local fuel distributors, fuel terminal and oil refineries. When they know there's a strong demand for gas without ethanol (E0) they often will make extra efforts to also offer this type of fuel; E0 is often now referred to as "recreational" fuel.